My latest article for Good Housekeeping Middle East has just been published. As the magazine is currently not available online, here’s the text. Click here to buy a digital copy of the whole magazine. As the summer heats up, many families are preparing to take off for cooler climbs. A long flight with kids in tow can be a scary prospect, but fear not – we’ve rounded up advice to help you sit back, relax, and enjoy the flight. You might have spotted me at the airport on your travels. I’m the one with a glistening brow, a toddler balancing on my hip, a bulging bag on each shoulder (plus rucksack), and fear in my eyes. You wouldn’t think that we take at least eight flights a year. Such a frequent flying family should be pros at this by now, but honestly, we’re still rubbish at it. Just as each month of our son’s development brings a new parenting challenge, what entertained him on our last flight won’t necessarily work now. It’s a lottery, and one we haven’t won so far. Not that we’re admitting defeat, and neither should you. Knowledge is power, so I’ve consulted travel experts and frequent flyer families to gather together a comprehensive list of tips from those in the know, with the aim of helping your journeys resemble Heaven, rather than Hades. However, with the benefit of hindsight I can also appreciate what those well meaning people were trying to tell me. With some careful planning and packing, travelling with a very little one can be relatively straightforward. One benefit of flying with an infant is that their ticket is usually free. This does mean, however, that they have to sit on your lap. For some, it’s not worth the cost saving. “Have seats for every child, including babies” advises Barbara Pampel, mother of two, and a veteran of three expat assignments. She also suggests bringing a car seat approved for use on board – but check in advance if your airline allows this. When packing, bear in mind that infants usually only qualify for a small checked baggage allowance. However, if your airline will carry a stroller free of charge, Carrie Bradley suggests a clever way to squeeze in a few extra items. “Use a travel bag to protect it, and use the space inside to pack a few light things,” she advises. For those breastfeeding, this phase of travel is pretty straightforward. Parents advise choosing a window seat for privacy, and bringing a breast feeding cover, if your baby is used to one. If you’re bottle feeding, find out in advance if your airline will warm the bottle for you. You can bring pre-filled bottles through airport security, although you may be asked to test the milk. Feeding on take-off and landing can also help ease the pressure in babies’ ears, and a dummy is also handy for this, if your child uses one. With a few flights under our belt with our little boy, we became pretty smug. He did what infants tend to do a lot – sleep. Until he turned nine months that is, and we flew overnight to the Seychelles. Our son was crawling, and demanded his freedom. In the inky darkness of a cabin full of slumbering passengers, this was a nightmare. He was like the Duracell bunny, and as dawn broke, we resembled market stall rechargeables – quickly running out of energy (and the will to live.) 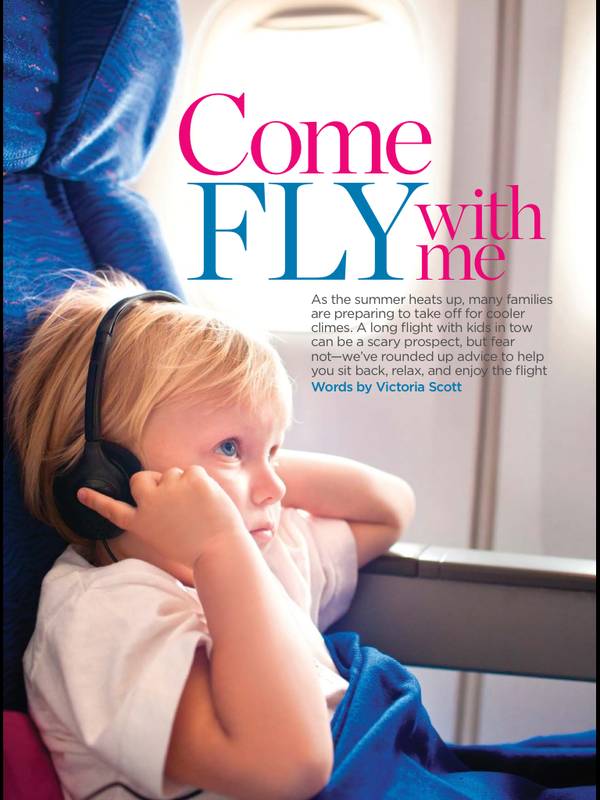 There’s no doubt that night-time flights work for some, but we had forgotten the biggest caveat of such advice – all children are different. Even if your toddler sleeps soundly, they will still need entertaining for a portion of the flight. For some, the novelty of a personal TV may work for lengthy periods, but most will also need bursts of different activities to break the flight into manageable chunks. If you’re still struggling, you could always turn to the professionals for help. Gulf Air’s Sky Nannies are old hands at entertaining children at 33,000 feet; on its long haul flights, a specially trained cabin crew member is on hand to help those suffering from family flying fatigue. There’s no doubt that some airlines are more toddler friendly than others. When booking, things to consider include whether you will be able to board first; if the airline offers children’s meals, and if they’re served first; whether you can bring a car seat on board; and whether you are able to pick up your child’s stroller from the aircraft door on arrival. It’s also worth finding out whether the airports you’re flying through have a children’s play area, which are a godsend during lengthy connections and delays. I’m still waiting for that magic age when my son leaps into his seat, excited about the movies on offer, never to surface except at meal times. Older children will still need to sleep on night flights, so consider your seating carefully. “If you are given the option of a bassinet seat, remember the seat armrests in these rows generally don’t lift up, so they won’t be able to stretch out,” advises Carrie Bradley. Entertainment wise, look no further than an iPad. Pre-loaded with movies, e-books and games, it’s a powerful entertainment tool which I’d have killed for as a kid. Hand-held games consoles are equally valuable. Make sure whatever you take is fully charged before the flight, and switch it to “airplane” mode, if available, to save its battery. Some aircraft also have USB ports which you can use to charge electronic items on the go. Be aware, however, that you may not be allowed to use electronic devices during takeoff and landing. There’s no doubt that travelling as a lone parent offers up some specific challenges. When your children are unable to walk long distances, for example, the journey from the aircraft to baggage reclaim (where you will generally be able to get your stroller back) can seem insurmountable. Many parents recommend investing in a sling or a hip seat so that you have your hands free to carry bags. Tessa Meares has a useful check-list of solo-friendly tips: “Pack a main changing bag, plus a smaller one to take for nappy changes – it’s easier to handle; wait until your child is asleep to have your meal; ask for help if you need it; and make friends with other parents on the aircraft,” she says. Select a flight that coincides with your child’s naptime and bring their favourite sleep-aids: blanket, toy, pajamas. Go through your sleep routine during takeoff (reading stories, rocking, singing quietly). Explain to your child exactly what will happen, from pre-flight safety procedures to boarding and disembarkation. Act them out in advance. Place a copy of your flight and contact details in each child’s bag in case you’re separated. Visit the toilet in the airport as close to boarding as possible to reduce the need for a bathroom break during takeoff. To cope with changes in air pressure, massage your child’s ears from behind, or soak paper napkins in hot water, then wring them out and stick them in the bottom of plastic drink cups, and put the cups over your child’s ears. 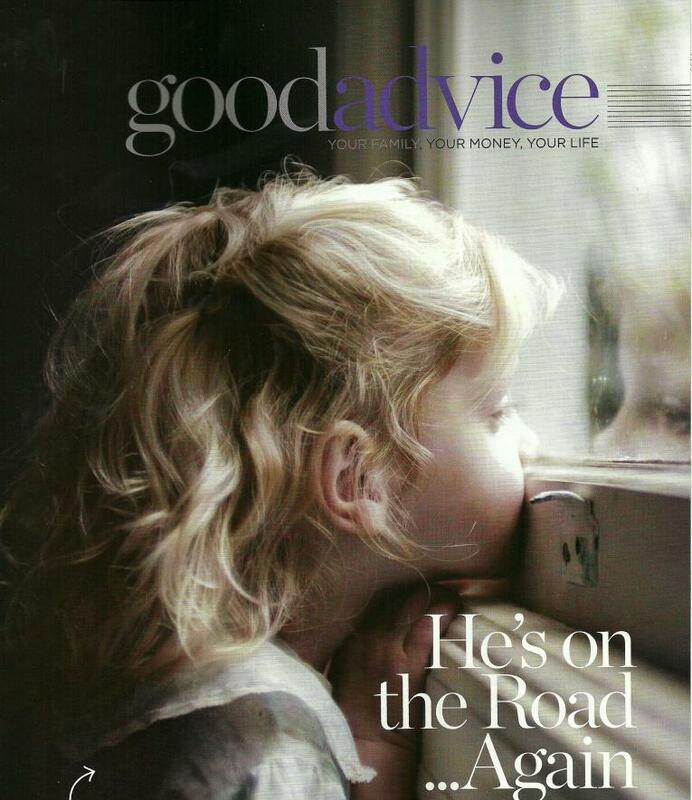 My first article for Good Housekeeping Middle East was published in the February edition. It’s about women whose husbands work away a lot – a topic which, as a long haul pilot’s wife, I know a great deal about! Good Housekeeping ME doesn’t have a website yet and the magazine is tricky to get hold of in Qatar at the moment, so if you haven’t been able to buy a copy, you can read a PDF of it here.